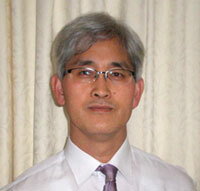 Jong Sun Lim, consultant, in the Korean Law Division in G C Knight, is born and educated in Korea and in New Zealand. He obtained BA and MA in Korea and then immigrated to New Zealand in 1996, then obtained BA (Hons), MA (Political Science) and LLB in the University Canterbury, Christchurch, New Zealand. He worked for Wynn Williams & Co since 2001, as a Summer Clerk and then was admitted as a Barrister & Solicitor of the High Court of New Zealand in 2002. In 2006, he moved to G C Knight and then set up his own practice called A. B. Lawyers Limited in 2011. He is the principal practitioner in that firm. All our staff will respond to any of your queries relating to any legal issues or any help required.